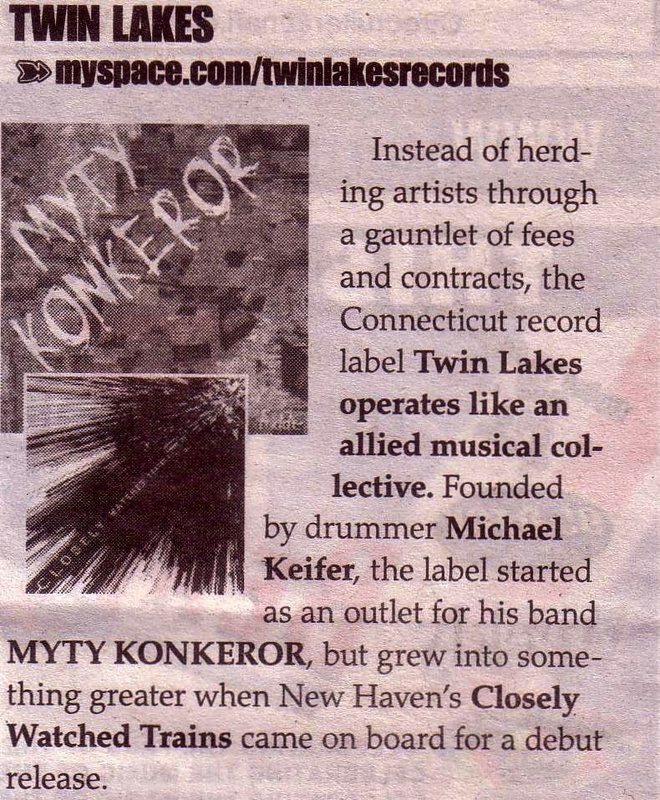 The Advocate ran a great cover story this week about some of the state's key homegrown record labels, and Twin Lakes managed to get featured. Check it here. Side note: Our founder's name is spelled Kiefer, like the actor, not Keifer.